We do not use herbicides and pesticides, nor chemicals: we apply the organic method. Our aim is to get a valuable production in agreement with the tradition of the area, by using modern techniques. Our work is very respectful of the Earth and of its natural balance, preventing the ground and the plants from getting stressed. Our commitment to Nature has existed forever: we are doing our best to preserve our planet and the future generations healthy. We follow the procedural guideline of the European Union for organic wine: many conventional products for the wine-making are not allowed by this new regulation, in particular only a low quantity of sulfites can be added. But we are better at this: we add up to 40% sulfites less than the UE regulation for organic wine. Moreover, we do not use clarifying and fining agents of animal origin such as casein and albumin, hence our wine is vegetarian and vegan friendly. All the substances absorbed by the soil and the plants, end up in our glass. Since we care about our Earth and about the health of both the people working with us and the ones drinking our wines , we do our best to provide it. In particular, a research at University of Rome “Tor Vergata” showed that our wines contain up to 50% antioxidants more than conventional ones. A wine is said to be organic only after careful control of every step in the productive process. 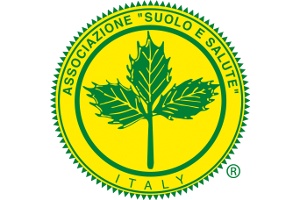 Our certification is handled by a company called Suolo e Salute. 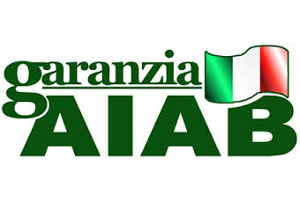 Moreover, we have the AIAB guarantee. Clicking on the logos besides you can discover more about it.